FURY WATER ADVENTURES IS THE #1 WAY TO GET IN AND ON THE WATERS OF KEY WEST One of Key Westâ€™s most popular attractions is the crystal blue waters surrounding our island paradise. For almost three decades visitors and locals alike have been choosing Fury Water Adventures as their #1 excursion in and on the waters of Key West. 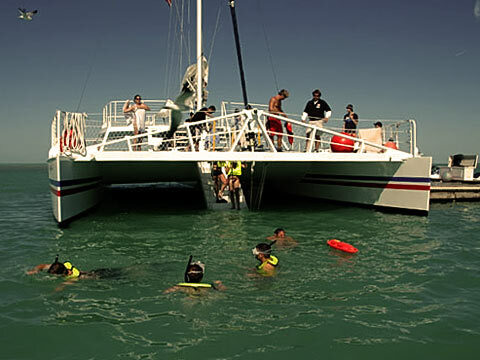 Choose from a variety of watersports - Reef Snorkeling or Sunset Cruises/Sails aboard the Fury Catamaran, thrills in the air with Fury Parasailing, or Reef Eco-Tours aboard the Fury Glass Bottom Boat. Private Charters are also available. For the real enthusiast, try Furyâ€™s Combo Packages or Furyâ€™s Ultimate Adventure which includes Reef Snorkeling, Parasailing, Jet Skiing, Kayaking, Rock Climbing, Water Trampoline and much more.